Three decades ago the realm bled. Today, the Lost Prince lives. Kareth is a legend, a mythical hero; a brigand who just so happens to be the Prince of Panthos, the realm the Silent King destroyed three decades ago. Kareth is real, he is alive, and he is looking for vengeance. The only problem is that the Silent King, Kareth's mortal enemy, happens to be his father. The book primarily focuses on two main characters; Selene, a simple barmaid and Kareth, the lost Prince. 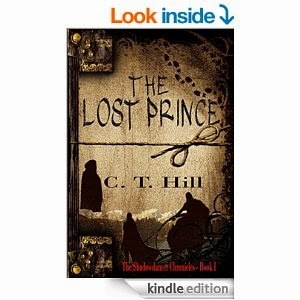 The story follows the pair as they evade the capture of the Silent King and his soldiers. There's also a backdrop of revenge and betrayal which adds a layer of depth to the storyline. The characterisation was done fairly well and the two main characters had distinct personalities. The story continuously alternates between flashbacks and the present. And if you've read my previous posts then you'd know how much I hate flashbacks but the author did a good job in keeping me interested - enough that I actually read those chapters instead of glimpsing through them. This book may be self-published but it didn't suffer at all from the stigma attached to such books. It was articulately written, with the words flowing so effortlessly that I finished it within a day. The action scenes were so well done that I got a clear picture at what was happening and the pace of the story never allowed my mind to wander. At no point did the story feel clumsy, and it goes without saying that - with its fantastic looking cover and its polished writing - this book can easily hold its own against published books.